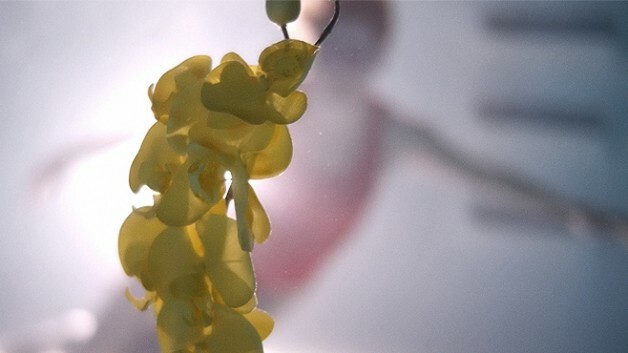 Upstream Color is currently showing at the Sydney Film Festival. You can get your tickets here. I haven’t seen Shane Carruth’s Primer as yet, but its high on my must see list after watching Upstream Color. This is a film right up my alley – challenging, complex, obtuse and arty. Carruth is a fiercely intelligent director who wants to bring something to life he can see but can’t explain. 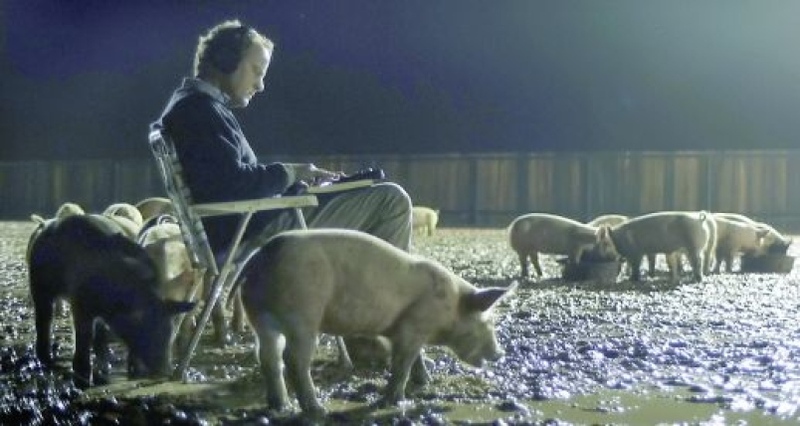 The best way to describe Upstream Color, is the conversation about the unsayable. Kris (Amy Seimetz) and Jeff (Shane Carruth) are victims of theft. They were each injected with parasites by a man known only as “the thief” (and this we find out in the final credits) that act on the mind to create a state of profound compliance. However, even deeper than that, the way the parasite acts on the mind is to obliterate certain aspects of the human so that they are not just highly suggestible, but unable to recover from the brainwashing that takes place when they first come alive in their blank-slate-state. The thief is aware of this. He has his victims perform inane tasks, such as writing out Thoreau’s Waldon in long hand and making a daisy chain of the final pages as he uses them to extort money. When he has exhausted all they can provide, he abandons them. Enter “The collector”, a man who is an adept at removing these parasites. He does this by using sound to attract the host (sound is very important in Upstream Color) and then enticing the parasite to move into the body of a prepared pig. The human is then free to go. This is really where the story and the point of Upstream Color begins. Kris and Jeff have no memory of their lives prior to their experience, or the experience themselves. They are complete blank slates. No memory and little formative understanding of the world around them. Jeff accepts what he is told by his peers that he is a thief, and is given work “off the books” because of his crimes, but Kris can’t assimilate properly. They meet one day on a train and are inexplicably, instantly attracted to each other beyond all reason. The attraction is not smooth, however. Its fraught with the unknown baggage each brings with them, that are the remnants of their experience. Upstream Color is primarily about how people interact when almost completely controlled by something that is unknown to them. The thing controlling them is unaware it has control, and has no malicious intent toward them. This is Carruth’s way of examining those relationships that have deep connecting bonds yet are fraught with paradoxes, or even straight out hostilities. Sometimes you can’t speak what the depth of connection is and you can’t speak what the problem is. You only know that you are there for some reason that can’t be ignored and you have to make the best of the moment you are handed. Human creatures for Carruth are barely aware of their own consciousness. Jeff makes a little sense of his world by co-opting the explanations he’s offered, but then lives completely dissatisfied. Kris is able to hold down a job and she has a small home she can maintain, but when the two are drawn together, they find they will steal each others fictitious memories, they will speak in circles about the same things never getting to the point and they will experience a great deal of frustration and their inability to put their feelings into words. Sound familiar? 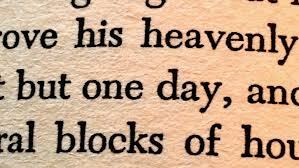 It is this feeling Carruth wants to convey. We are not meant to puzzle out the “why” and “Wherefore” of these behaviors. We are meant to absorb them as he presents them and feel our way to possibly seeing ourselves. Upstream Color reveals the frailty of human connection and the futility of self examination. I get the feeling we are to resist imposing meanings and definitions on the film, as Carruth has gone to great pains to remove the ability of the protagonists to do so. Their entire self narrative has been wiped, and we are invited to do our best to be the same for the moment. In this way, the sensory relationship becomes essential and paramount. What you can “do” with the present when there is no past or future to inform it, is “be” in it. In this way, Carruth enhances the physical aspects of the couples connection with the world. He does this particularly through music which he (incredibly), writes himself. I loved the music in this film. Carruth uses field recordings, and alternate sound based music to enhance the relationship with the world, and I wouldn’t be surprised if you see another piece written by me about this film and the way sound is used. Carruth is clearly a careful listener as well as a striking musician and it was a joy to absorb the sounds he used to redefine the listening experience of those who arrive at a place where they bring nothing with them and are going no where. In this small way and small moment – I deeply envied Carruth’s protagonists. 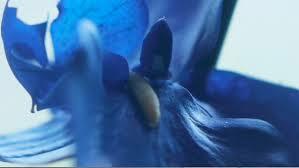 Upstream Color is a film to be seen. You need your brain power with you, and with all that glorious music it is worth seeing it in the cinema. Shane Carruth is definitely a director to watch.